This Fall has been a wonderful for photography and for the experience of working with delightful people. 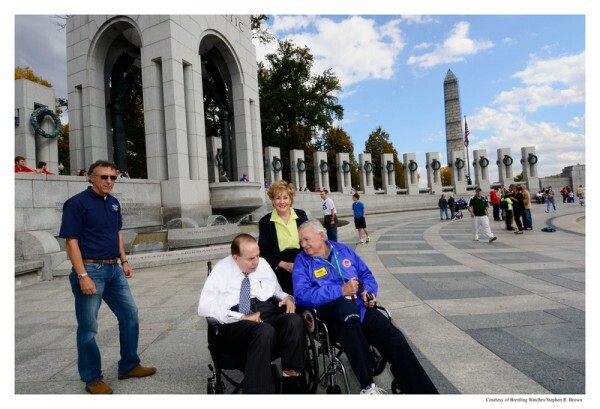 Yesterday, Senators Robert and Elizabeth Dole posed with Dave Smith of Honor Flight San Diego. and members of the Breitling Watches team who sponsored the San Diego and Stars and Stripes Honor Flights and also acted as guardians. 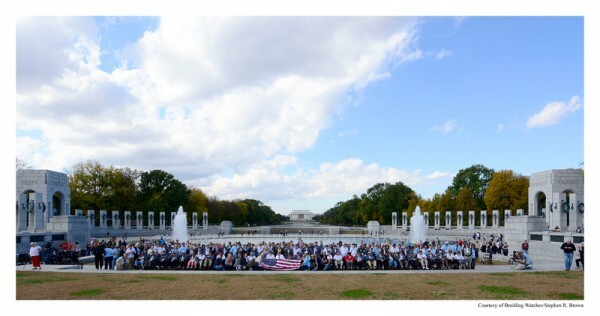 The event also gave me the opportunity to exercise my “herding cats” skill as all of the bus captains, guardians and volunteers made this shot possible in record time which is as Honor Flight regulars always point out essential to the mission. Board member Jeff Miller worked with me on Friday scouting the image and board member Dave Nichols made sure that the 1000 plus Honor Flight participants were able to transit freely from bus to Memorial. The weather was perfect and Senators Robert and Elizabeth Dole stayed for four hours greeting veterans. And for the first time in several years, Jeff Miller had the honor of escorting Senator Dole around the plaza. It was wonderful to see him out there. 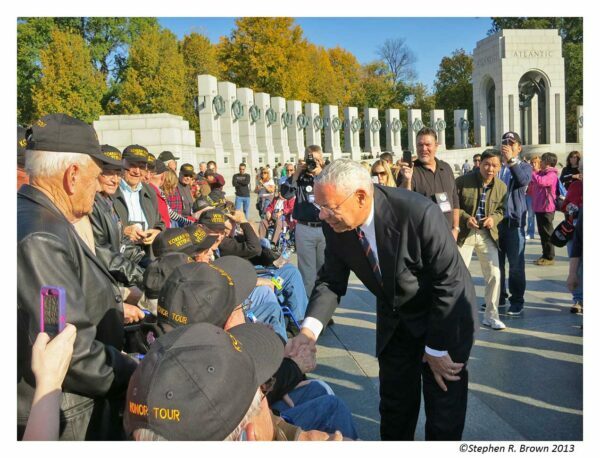 Earlier in the day, General Colin Powell stopped by to visit with Rob Callahan’s Honor Tour from Missouri. The full day’s take is available in two folders at my image library and they are available for personal use only. If you would like to use an image for some other reason, please write the studio at srb@srbphoto.com and describe your needs. 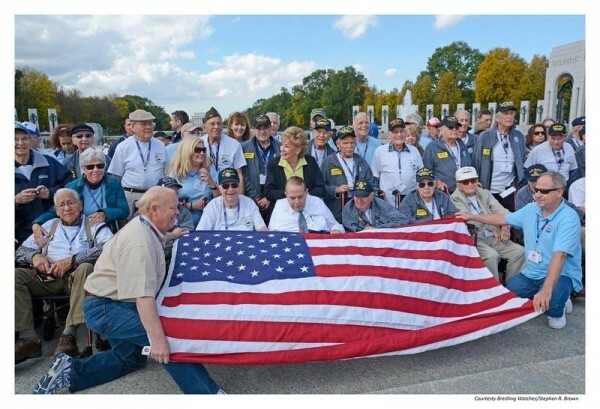 November 3, 2013 | Filed under Blogs, Books, Honor Flight, Photography, WWII Memorial and tagged with Chesapeake Bay, Current Affairs, DC PHOTO BOOK, Honor Flight, Jewel of the Mall, National Park Service, Senator Dole, Senator Robert Dole, Travel, veteran, Washington, world war ii, World War II Memorial, WWII Memorial.